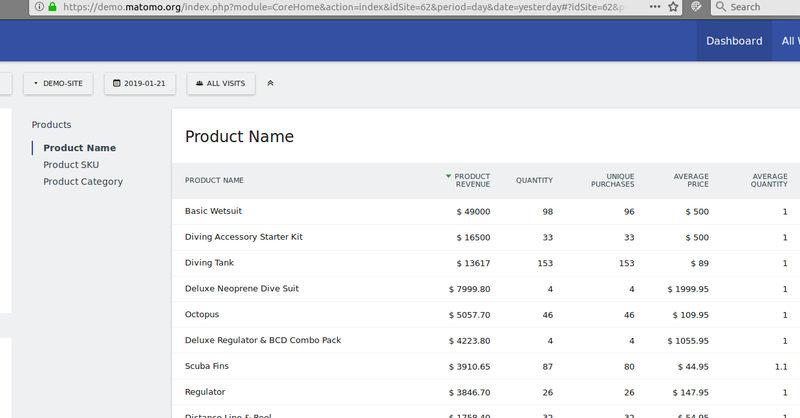 Currently under Ecommerce reports such as Products, Sales, Multi-attribution, the currency metrics are not formatted and are for example missing the thousands separator. Expected to have all currency columns (such as "Product Revenue", "Average Price") to be formatted correctly. (Currently in Ecommerce > Overview, currency metrics are correctly formatted). See screenshot below showing the non formatted currency metrics in Ecommerce and Goal reports.